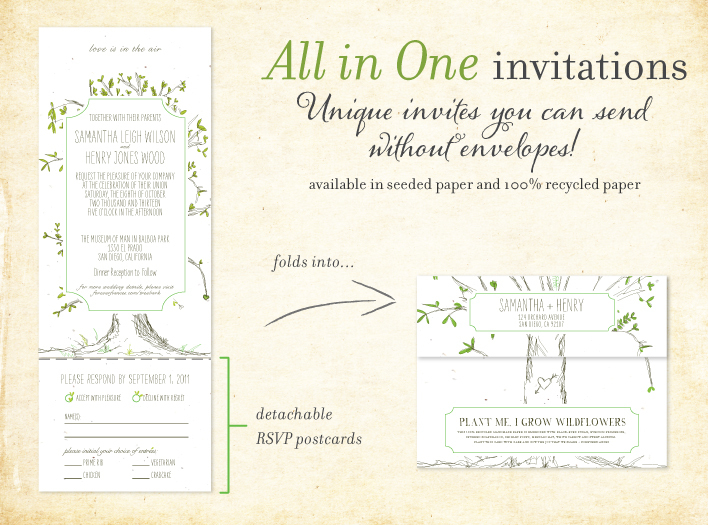 For Ever: Quite possibly the greenest invitations on Earth! Want something truly unique? 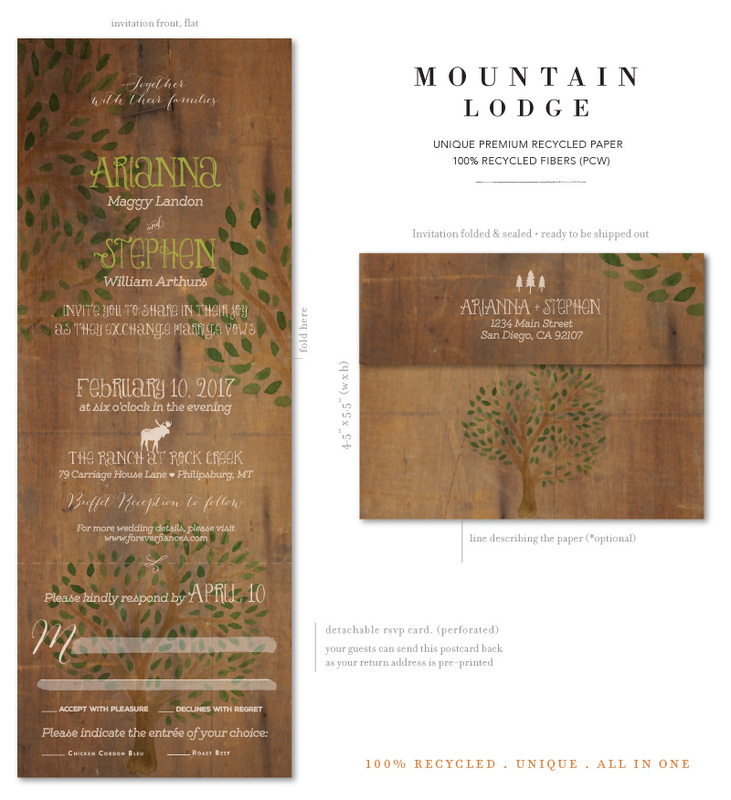 Use our awesome Send n Sealed invitations to complete your suite with one simple card! Our all in one invitations feature an exceptional format, containing four flaps that fold into one sealed card, ready for mailing. 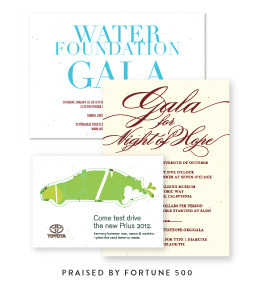 The send and seal invitations include a detachable RSVP postcard (for your guests to send back). 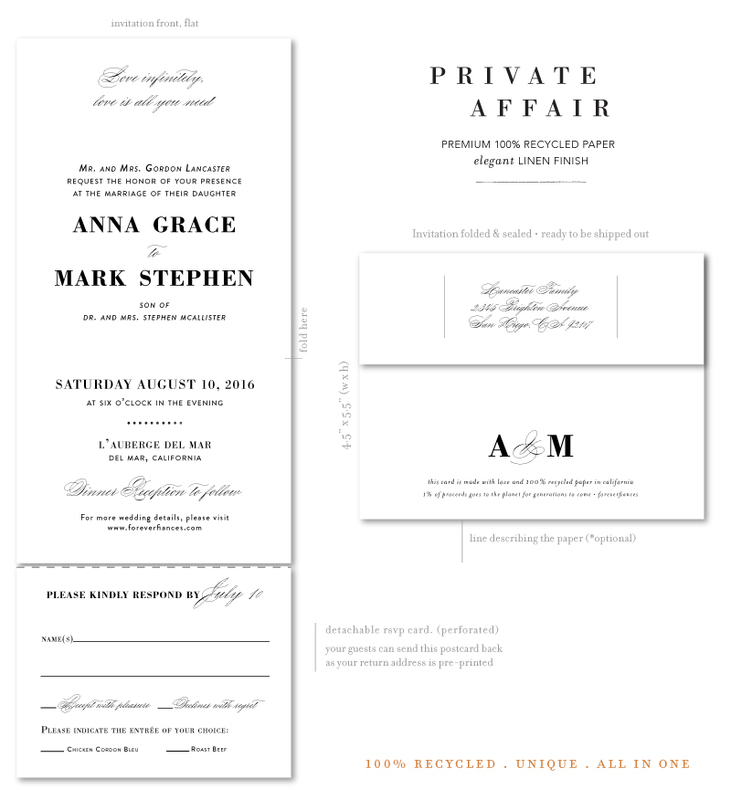 Once sealed the invitation can be mailed without envelopes for the price of a hand-stamp. Our preferred stamping is $0.69 but honestly it depends on which clerk you talk to at your local post office. The reason we suggest paying the extra pennies is due to hand canceling. Hand canceling basically means that your invitations will be processed by hand rather than being run through the Postal Service’s automated machines. 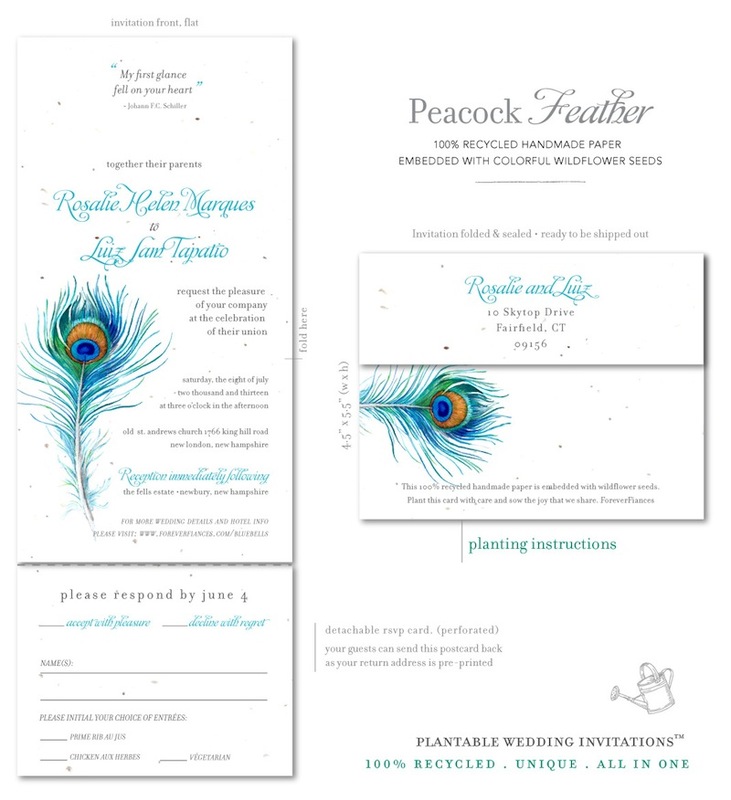 Since wedding invitations are often thicker than most other mail that the post office handles, hand canceling helps to avoid damage to your invitations that can be caused by getting caught or jammed in the machines. However each post office handles hand canceling differently which is why I recommend inquiring first. 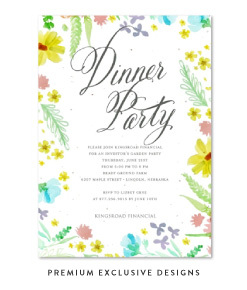 Your post office may only require $0.49 so just be sure to ask how much it will be to have the invitations hand cancelled. Exquisitely crafted with our finest 100% recycled papers, made with carbon neutral energy. Quite possibly the greenest invitations on Earth!